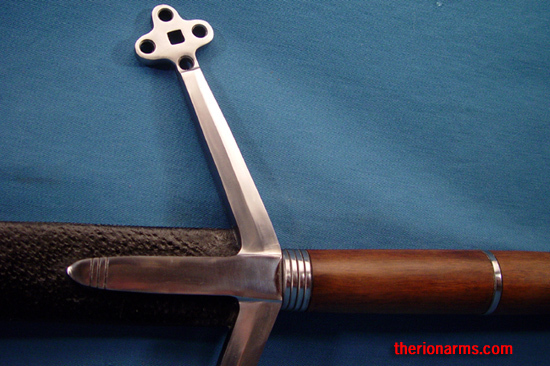 A 16th century Scottish claymore made by Generation2/Legacy Arms. Gen2 calls this their "Robert the Bruce" claymore, but it's actually from a time period later than good ol' Bobby the B (who lived from 1274-1379). 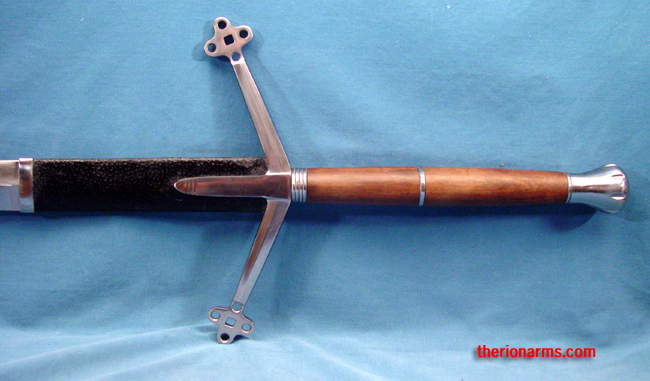 This magnificent claymore features a madagascar ebony grip and diamond cross-section quillons. 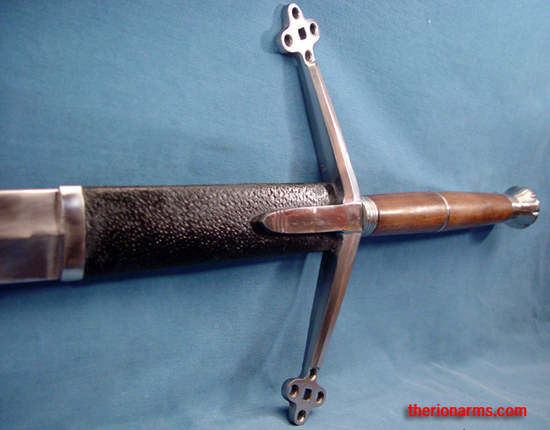 The leather wrapped ricasso allows the sword to be gripped higher on the blade and provides extra leverage in close combat situations (halfswording). Steel guard and scent-stopper pommel. Extremely heavy, extremely sharp, handle with care. 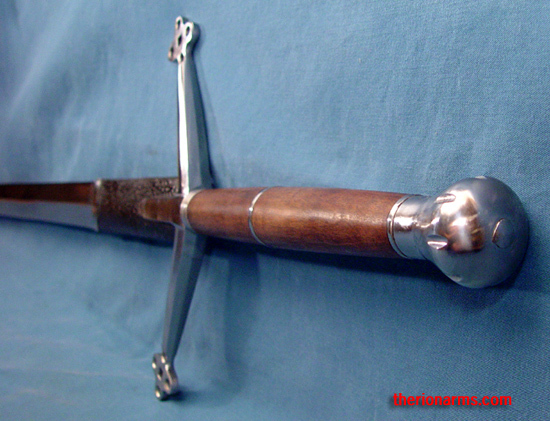 Note that the included sheath is not a historical design, and I highly recommend that the sword not be stored in the sheath (something about the leather on these causes the blade to develop rust spots. I've honestly considered listing these without the sheaths and throwing the sheaths away, but I guess I'll leave that up to you. 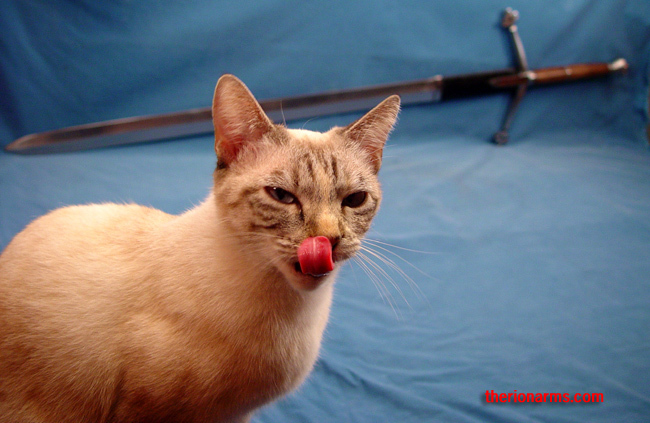 The cat is not included, she just likes "helping" with photoshoots). This is a muckin' great big sword, laddie. grip and pommel: 13 1/2"